This is a top only! Pants sold separately!!! 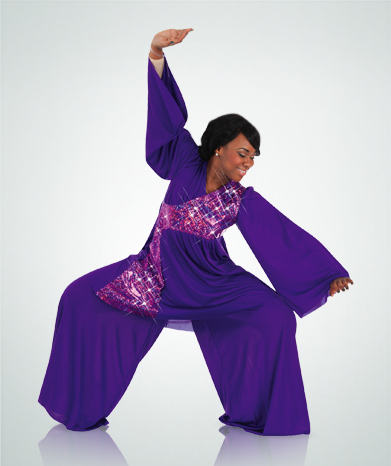 Stained Glass Asymmetrical Tunic has a wide bell sleeves with hidden elastic wristbands and metallic crossover bodice that flows into the full body. Matte Polyester.